In his unforgettable new novel, John Grisham tells the story of an unthinkable murder, the bizarre trial that followed it, and its profound and lasting effect on the people of Ford County. Pete Banning was Clanton's favourite son, a returning war hero, the patriarch of a prominent family; a farmer, father, and a faithful member of the Methodist Church. Then one cool October morning in 1946, he rose early, drove into town, walked into the Church, and calmly shot and killed the Reverend Dexter Bell. What turned Pete from a pillar of the community into cold-hearted killer? And why won't he confide in anyone? All his closest family knows is that it must have been something devastating- and that the fallout will haunt them, and the town, for decades to come . . . I have never written a review about a book before, however I feel I must in this case. I have read all of Grishams novels, some I enjoy, some not as much. This would be the worst book I have read. It is slow, predictable, quite boring, it really is a shame for such a good author to produce this material. I wish I could get a refund!! 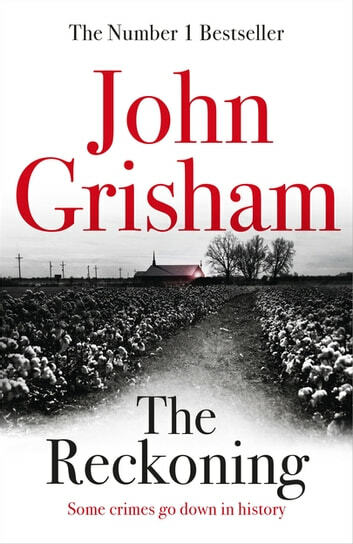 I have read every book John Grisham has had published (to the best of my knowledge) Most have been masterpieces but a few have been a waste of time and one or two have been absolutely dreadful. The Redemption falls into the latter category Disappointing. A bit laboured, but still a decent read. 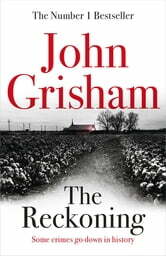 Not Grisham's best work, but still not bad. It's two distinct stories. The hook is planted early and it's powerful. However, the middle part of the novel, covering Pete's time at war is over detailed and perhaps could have been used as a separate novel. The conclusion is withheld until the final few pages. Another Grisham masterpiece .... I especially loved how he combined his brilliant story-telling with an astonishng and true tale of the horrors of World War Two. Magnificent! Clever story and extemely interesting. I found it long-winded and a heavy read.